BANGOR, Maine — Bangor officials on Monday night called on the state to “honor its obligations to its municipal partners” by restoring municipal revenue sharing so cities and towns can address other problems. City Manager Cathy Conlow and city councilors laid out a list of priorities the city would like to see legislators work on in the current session during a meeting with local lawmakers. “The overall goal of the city is to seek legislative support that enhances the quality of life for all our residents while protecting Bangor property taxpayers from paying for the financial impact of programs that are regional in nature and not ‘Bangor specific,’” Conlow wrote in a memo to the legislators. In Bangor’s eyes, one of the biggest issues is municipal revenue sharing, a program that divides money drawn from sales and income taxes among the state and its municipalities. Under the statutory formula, Bangor should receive around $5 million, but in 2013, it received just over $2 million. Officials cited that reduction as a significant contributor in cuts to jobs and services across the city as well as a 6 percent hike in municipal taxes. They want to see it returned to full funding. Bangor officials argue that the city produces the highest retail sales in the state, beating out both Portland and South Portland. The revenue sharing dollars it gets back help cover extensive police, fire and public works services required of an active commercial center, city officials say. Gov. Paul LePage has called revenue sharing “welfare for municipalities” and proposed eliminating it entirely for two years in his version of the biennial budget last year. The program ended up with partial funding. Bangor City Councilor David Nealley countered during Monday’s meeting that Bangor sending its sales tax revenue to the state and receiving a decreased portion back is closer to welfare for the state rather than the city. Bangor wasn’t alone in contending with last year’s revenue sharing reductions. Across the Penobscot River in Brewer, frustration and concerns will carry over into this legislative session. Brewer Mayor Jerry Goss said leaders in that community pushed back against revenue sharing reductions last year and would push again this year to have it restored. — Fully funding General Purpose Aid to schools under the Essential Programs and Services formula. 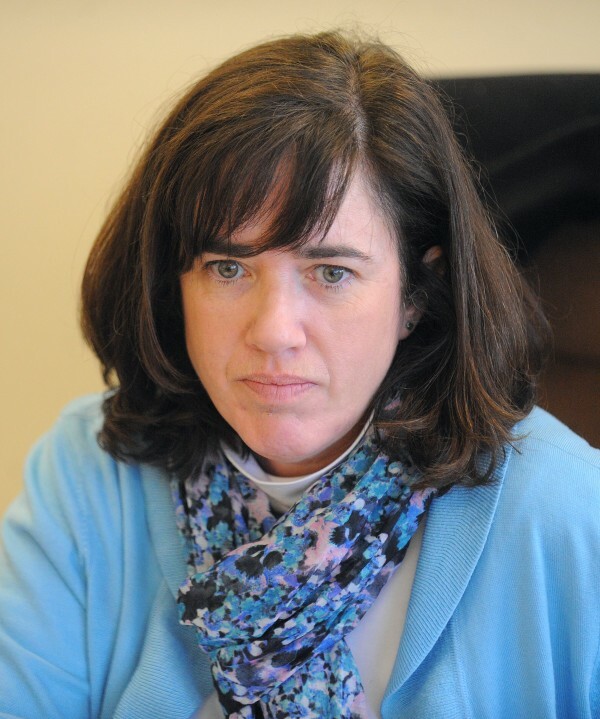 Superintendent Betsy Webb said that even a minor reduction in the already under-funded program can cost Bangor hundreds of thousands of dollars. — Maintain or expand the number of beds at the state-owned Dorothea Dix Psychiatric Center. The facility has faced state and federal funding cuts in recent years, forcing major rounds of layoffs and calling into question the future of the hospital. With that and funding disputes at Riverview Psychiatric Center, the question looms of what the state would do with its mentally ill residents if the hospitals continue to struggle. With fewer beds at psychiatric centers, more strain is put on the state’s prisons and homeless shelters, which aren’t as well equipped to handle people with psychological disorders. — Begin working on LD 1213, a bill carried over from 2013 that would allow federally qualified health centers to provide methadone treatment to addicts. The city is home to more licenses for treatment than any other city in the state. Some officials say an over-saturation of methadone clients leads to an influx of drug dealers and crimes, draining city resources. Legislators who attended the session in Bangor on Monday said they would take these priorities with them to Augusta but acknowledged getting results wouldn’t be an easy task. Goode pointed out that many of the priorities on Bangor’s list involve not cutting or returning funding. He also pointed out looming budget shortfalls facing the state across multiple areas. “That equates to more than just saying ‘Don’t cut,’” Goode said. He called a budget a “moral document” that should be crafted with careful consideration of the people who most badly need the services, and it’s up to the Legislature to determine where those priorities should lie. Gratwick encouraged residents to write handwritten notes to lawmakers to draw attention to the issues so they don’t get lost in the shuffle during the course of the session.